This weekend while I was wallowing in self pity, pain and general glumness a new campaign was brought to my attention. I'm not a football fan in anyway, shape or form. But I do respect what the supporters try and do with the influence that a large group of people can have towards a common goal. In this case the Official Supporters Club for Hull City are throwing their weight behind The Cry Campaign in memory of Josh Fell with the launch of a new charity wristband, the brain child of Supporter Club members Fiona Colling, Nadine Matthews (Market Weighton branch) and Paul Abraham (Hornsea branch). On 9th June 2001, aged just 15 years old, Josh Fell died from SADS (Sudden Arrhythmia Death Syndrome) after playing football at Hornsea School field with friends. Two of which tried to resuscitate him but were too late. The previously healthy teenager had died with no symptoms or signs to anything being seriously wrong. I am supporting this great cause, and hope that you will too. It is shocking to me that there are still previously healthy children and young adults at the peak of their fitness just dropping with unknown heart conditions. As was the case with Bolton Wanderers footballer Fabrice Muamba, whose heart famously stopped on Saturday, 17th March 2012 for 78 minutes and was saved due to the fast work of medics on the pitch. He was lucky, and had trained professional medics on site as he suffered from his heart attack. This condition doesn't need to be life threatening. However, the screenings that can spot these arrhythmias are not currently on the NHS. Donna and Rich have also been raising money for CRY to fund these heart screening sessions in the East Riding. Screenings are open to 14 to 35-year-olds and the next screening date is due to be announced shortly. 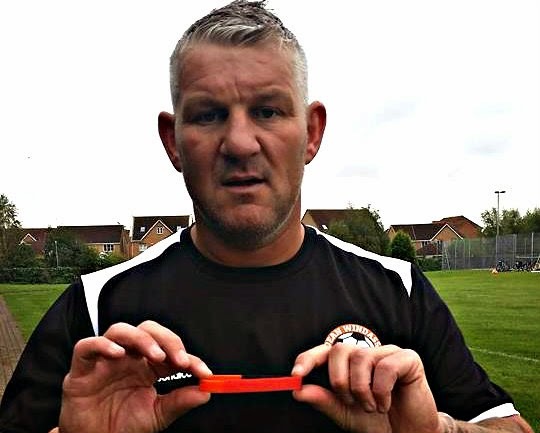 This new campaign is quickly gaining speed and already has support in the shape of Former Hull City striker/midfielder Dean Windass. Bands are £2 each and be bought on match day at the Airco Arena, via the website (www.hullcityosc.co.uk) or from Josh's family.